Two major international gatherings convene some 250 exhibitors during 4 days for products, services conforming to Islamic guidelines. World Halal Summit 2018 and the 6th Organization of Islamic Cooperation (OIC) Halal Expo kicked off in Istanbul on Thursday. The two major gatherings on the global market for products and services conforming to Islamic guidelines (known as halal) – organised under the auspices of the Turkish Presidency – will gather some 250 exhibitors during four days. The event attracted scholars, company representatives, experts, business people and politicians from around 80 countries. The summit hosted several key-note speakers across the world including Yusuf Islam, also known as Cat Stevens. The Muslim world has to develop its own sense of confidence and ambition, Yusuf Islam, world-famous musician, lyricist and educator, said on Thursday. 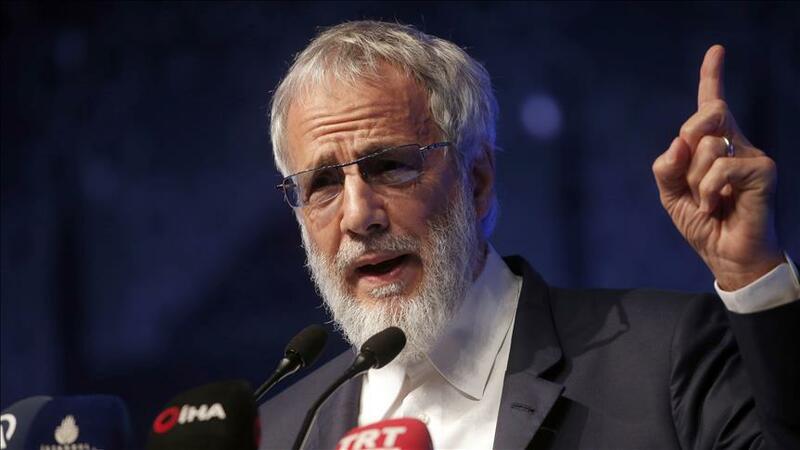 "It is hard to find a Muslim country producing its own airplanes, cars or televisions," said Islam, also known as Cat Stevens, speaking at the World Halal Summit 2018 in Istanbul. "The Muslim Ummah had lost its role as a global teacher of this brilliant message [Quran]," he added. He said Muslim countries were dominated by thoughts that were alien to the philosophy of Islam. "So many schools today are teaching brilliant things, technologies [...] but where is God, where is Allah," he said. He said Muslims should come out of the nostalgia of their past glories and invest on themselves. Islam, who started his music career in the 60s, became a Muslim in 1978. He has a chain of schools and charities. The four-day summit and expo organized under the auspices of the Turkish Presidency kicked off on Thursday.